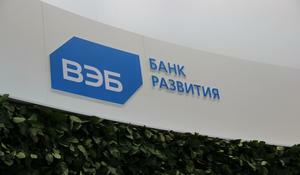 The "VEB.RF" state corporation will join the Rosatom project on the NPP construction in Uzbekistan. Russian Prime Minister Dmitry Medvedev and his Uzbek counterpart Abdulla Aripov signed an intergovernmental agreement on cooperation in the construction of a nuclear power plant (NPP) in Uzbekistan under the Russian project, TASS reported. Uzbekistan and Russia have reached an agreement on the construction of nuclear power plants (NPPs) in the republic. Uzbekistan plans to sign an agreement with Russia on the construction of a nuclear power plant in 2018. Russia’ state nuclear corporation Rosatom is ready to build the most modern two-block nuclear power plant in Uzbekistan. New seismic stations to be placed around the Metsamor Nuclear Power Plant are already in Armenia, the chief of the National Seismic Protection Service MOE Hrachya Petrosyan said at a meeting of the Ministry of Emergency Situations (MES), Panorama.am reports.